Xitona Software company makes musical programs which are essential aids for professional singers and for people who simply like to have fun with a microphone. You can download and enjoy trial versions of our products free of charge. 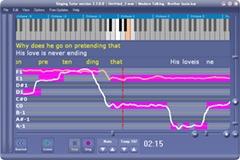 Click download, and after a minute you will be having fun with Singing Tutor. (English version) In addition to creating of audio programs I involved in out-of-school activities in Kiev Natural Scientific School 145. 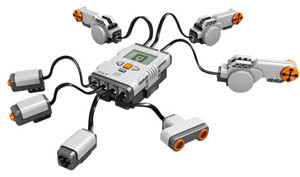 Especially in Lego Mindstorms classes. Here is page, which represent my working in school. It meant for parents of local children so it generally in Russian language. (Rusian Version) В добавок к созданию аудио программ, я веду несколько кружков и факультативов в одной из киевских школ (КПНЛ 145). В частности я являюсь тренером по Lego Mindstorms. Эта страница посвящена моей работе в школе. Она рассчитана на родителей местных детей потому она на русском языке.